Testimonials | Canine Training<p>by Mystic Moon, Inc.
How about the Tooth Fairy? And, Me? * I want to thank you so much for all the help you have been . . . Obedience + More Class, an awesome help . 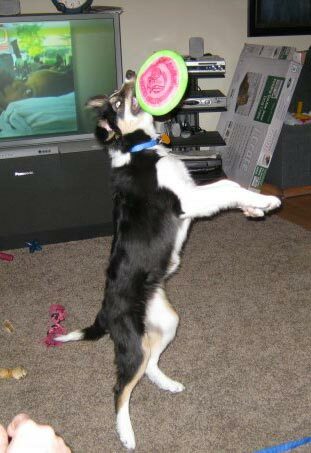 . . My driven Border Collie needed more, and that was possible with your Advanced Handlers classes . . .
You are a Dog Whisperer. Sincerely, Eli & Brandi, the busy Border Collie. * . . . how to train him to be well-mannered and sociable. . . Through the obedience classes, and agility training at Mystic Moon, I've achieved that. Plus, Malcom and I have had a lot of fun! Tonja has the heart of a teacher with an approach that is consistent and disciplined, while at the same time always positive and encouraging. Along with coaching her human students as we work with our dogs, Tonja models her training techniques in class as she works with her own dogs. She's experienced, knowledgeable, and enthusiastic . . . I highly recommend Tonja's expertise to anyone who desires to own a dog who's a pleasure to be around.
. . . that you and Chuck were there with your six fabulous dogs, made our day! I got so much great feedback from your "show". I also appreciate your educational component. The kids walked away knowing more than when they came in, and many of them were inspired in various ways. One of your student helpers, Josh, told me that this was one of his best experiences ever! Thanks so much, Tonja & Chuck, for providing a wonderful experience for our 220 7th graders! * . . . Tonja Osborn of Canine Training By Mystic Moon, Inc. . . . It's very evident that she believes in positive reinforcement and great communication . . . well, I was impressed. Tonja is much more than a "dog whisperer". She has the ability to connect with both your dog, and you. A skill set, and gift, that is truly rare. With best wishes and warmest regards, Al S.
You may remember that there was an addition to the McLellan family this fall --Maggie. 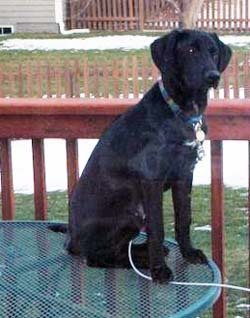 And yes...that's her sitting the deck table. So, I found a dog whisperer. She doesn't call herself that...but that's who she is. She came by yesterday for our first "in home" visit" and, she was amazing. Truly amazing. Within 20 minutes, she had Maggie calm, sitting, and laying down, with out giving her a verbal command. While she trained the dog. . . she was really training me. * On behalf of the Iowa Public Defender's Association I would like to take the opportunity to thank you for generously donating your time to give a presentation during our June seminar. As the host office we were pleased with the attendance and the many positive comments we received regarding the seminar and the topics discussed. Providing top quality continuing education and training programs for our attorneys and investigators is the chief objective of the Public Defender Association. It would not be possible to conduct these seminars without speakers, like yourself, who graciously donate their time to share their expertise and insight. Sincerely, Valorie K. W.
* Our most sincere thanks for civilizing our two exuberant and undisciplined Shih-Poos. In the space of a few short weeks, you've managed to teach good habits and break bad ones without breaking their spirits. Our dogs are much better members of the family and citizens of the neighborhood, and all of us are happier for it. You were clearly in control of our dogs from the moment you walked in the door. . . we are delighted to testify to the effectiveness of your methods and your marvelous skills as a trainer and coach. Norene & Mel W.
* I wanted to take this opportunity to thank you for the help you have given us with our Irish Setter, Riley. Without your assistance he probably wouldn't still be with us, which would have been a loss for us, since he's turned into a wonderful companion. Again, your patience and understanding of dogs and their companions (and their frustrations) showed as you helped every dog and companion in the class to better understand each other, and work better together. It's hard to imagine you could have 7 or 8 dogs sit on the street, and watch their people sit on the curb, eat supper and not once did a dog try to steal a meal. Thanks again for all of your guidance and patience. Sincerely, Steve, Sue and Riley G.
* I adopted my GSD, Prince, when he was one year old . . . By the time Prince turned two, I was at my wits end. I contacted my veterinarian and he suggested that I call Tonja at Mystic Moon who offered one-on-one training and experience with problem dogs . . . I was amazed after just one session how she was able to get him to calm down and listen . . . He is a loving member of our family. The children now adore him and have become his playmates. Prince continues to visit Tonja when a business trip takes me out of town, where his training is reinforced. Tonja has an amazing way with dogs and I would recommend her to anyone for any level of training. 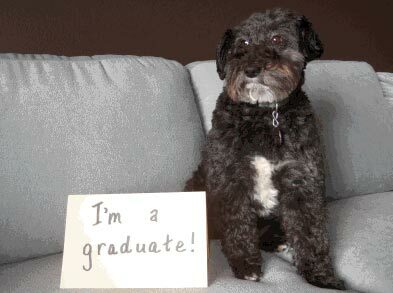 Patty S.
* When asked by Tonja Osborn to provide a referencefor her dog training ability, I enthusiastically said YES. Since we began our process nearly five years ago, we have developed and maintained a wonderful relationship with Tonja and so I considered it an honor and a privilege to be asked to give testimony to the success we have experienced. 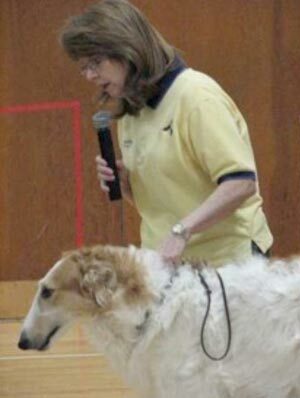 . . and I realized that in fact, the dog trainer had successfully trained us humans! Tonja came into our home, observed and interacted with our animals, listened to our frustrations, and formulated a plan for behavior modification which included not only the dogs, but myself, my husband, and our three children. . . The result of this method of "practice, practice, practice", made our lives just about "perfect, perfect, perfect". I have since recommended Tonja to many of my friends and even a few strangers. I have received in turn countless "thank you's" for sharing our good fortune with everyone who has received training from Tonja.I will continue to highly recommend her! Sheila H.